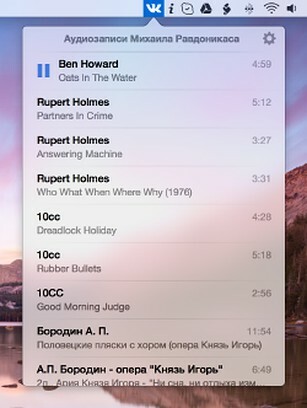 VK Player Controller (https://ch1p.com/vkpc/) is the application for OS X 10.8+ that allows you to control in-browser audio player on vk.com by media keys (F7-F9) on your Mac's keyboard and have access to playlist from status bar. You can also receive a notification when track changes. The application consists of two parts, which are the application itself and browser extension. This is an extension that makes VK Player Controller compatible with Opera.